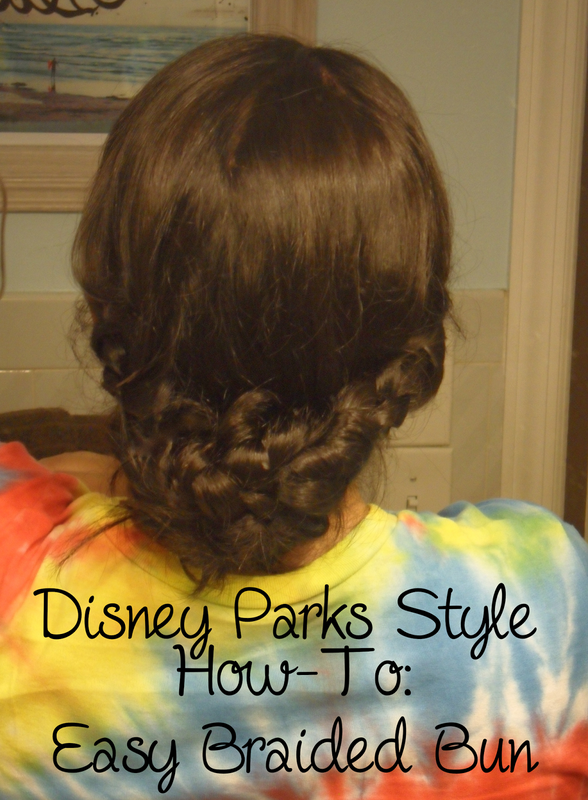 I am always looking for easy styles for pulling my hair back in the parks. 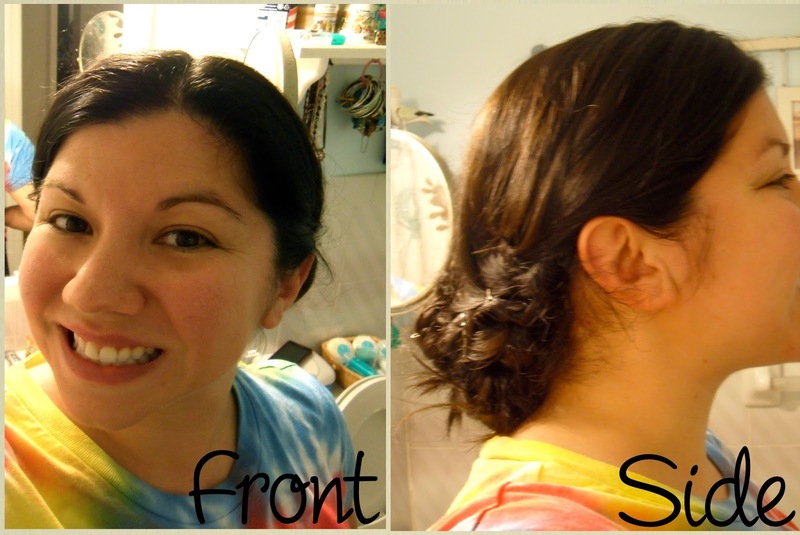 I have A LOT of hair and it is thick and long so when I am in Disney World or Land during hot temps I tend to stick with easy messy buns, and different versions of ponytails. I decided to try and come up with some new styles for my next summer adventure in the Parks. 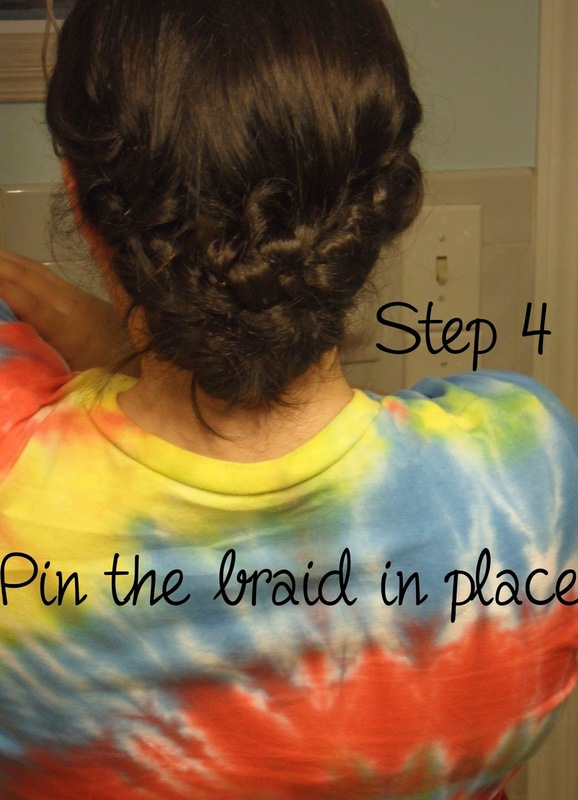 I love this style because it takes very little time and effort (10-15 minutes). This style is best for someone with long, fine-medium thick hair. It will also work beautifully on the kids. My hair was a tad too heavy and it started falling out as they day wore on. If you have heavy, thick hair like mine I suggest you wear this in the evening for a nice dinner and on to the evening park activities. 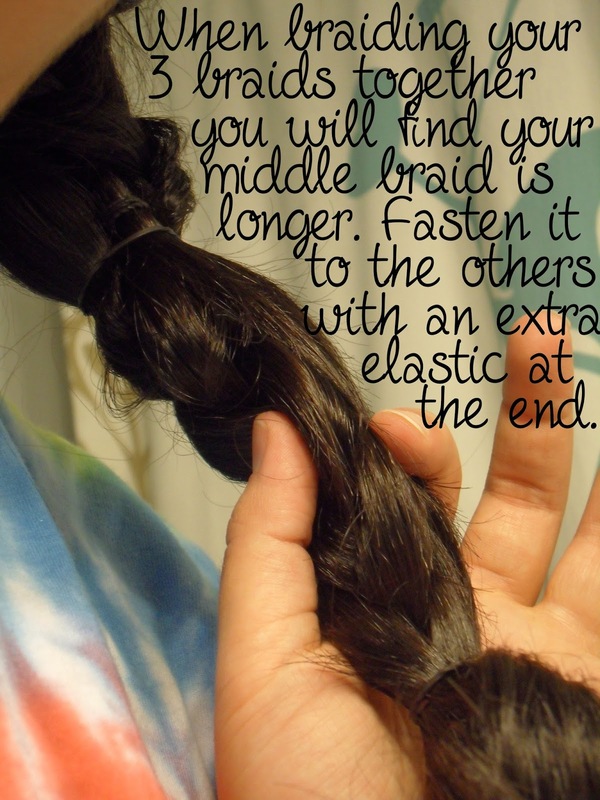 The best thing about this style is that you don't have to be very precise. 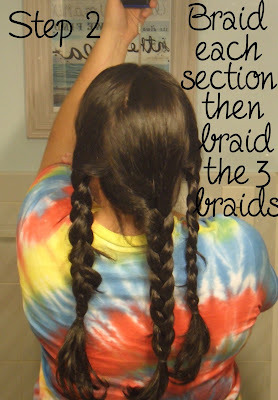 As you can see in my pics I just eyeballed my sections and didn't even make perfect lines or perfectly straight braids. It all gets corrected when you roll it up and pin it!